When we use boulders in our projects, they can range in size all the way up to a cubic yard. A rock of this magnitude will weigh around 4,500lbs! Using a combination of sizes in our designs creates a more natural look. Limestone is a softer, sedimentary rock. It ranges from pale yellow to light grey, depending on the quarry of origin. Granite fieldstone is rounded from being tumbled by glacial action, and colour variations include pink, red, yellow, and many shades of grey. Black granite is jagged with sharper edges, as they are quarried from the ancient Canadian Shield. They are darkest in colour but can include interesting bronze, white, or gold patches throughout. 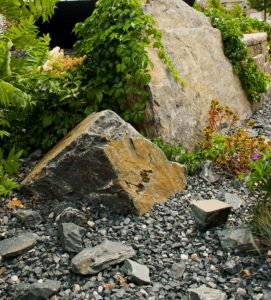 Here are some other ways that you can incorporate these boulders into your future design. Stone sculpting has been around for millennia. Though the material hasn’t changed, thankfully our tools have. Factoring in the size of the boulder and the intricacy of the design, this process typically requires a number of different power tools and a fair bit of time. 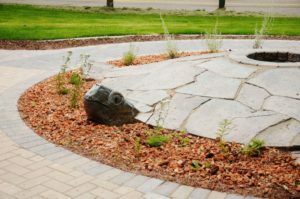 Boulder sculpting is not a common design element of residential landscaping, but if done well it can be the showpiece of your yard. Boulders are great to incorporate into a seating area. 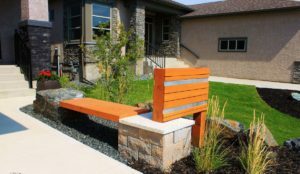 We can easily find flat-topped boulders to be used as chairs around a fire pit or as extra seats around a patio. 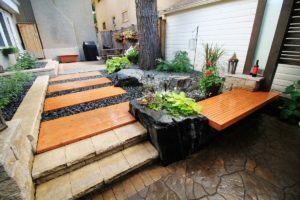 These boulders can also be carved to support either or both ends of wooden bench seats, depending on what fits best with your design. The most traditional way to use boulders is to simply incorporate them throughout your garden beds. 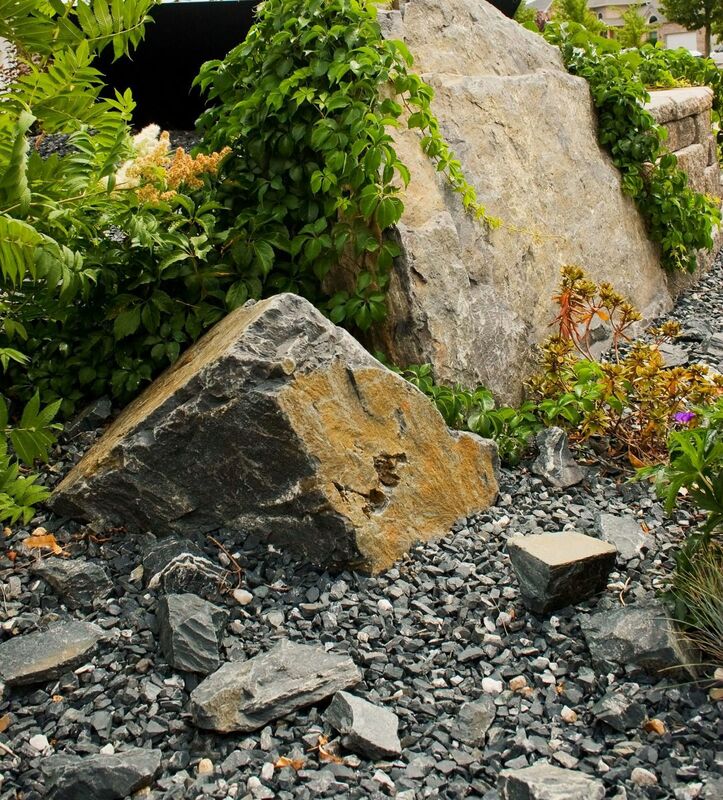 We typically bury the bottom few inches of larger boulders to give them a more natural, settled look. Clustering a few boulders close to each other further strengthens this ancient ambiance. If you missed Part 1, click here to view!